Whether you need specialist advice on managing a piece of land or you are simply looking for a good walk in the area, the AONB staff are happy to help out. 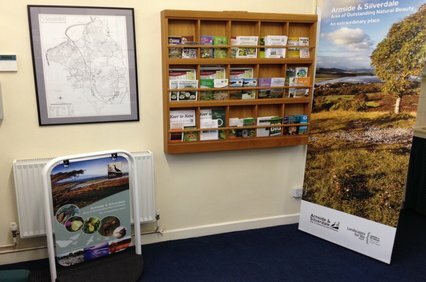 Call us or visit the Information Centre at the Old Station Building, Arnside. Here you will find a great selection of leaflets on walking, cycling and the amazing wildlife in the AONB and a well-stocked reference library which you are welcome to use. The Information Centre is normally open Monday to Thursday 9am – 1pm and 2pm-4pm and on Fridays 9am – 1pm. It is closed at weekends and on Bank Holidays. On rare occasions, it is necessary to close at other times due to staff commitments at meetings, site visits etc. We apologise for any inconvenience.